Qualcomm has introduced the Snapdragon 820 , Soc during the MWC earlier today the company has finally launched the most hyped and most anticipated Snapdragon 820Soc with Adreno 530 Graphical processing unit. 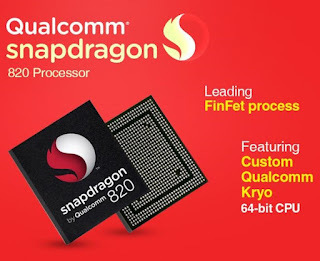 The chipset is said to be using Qualcomm’s custom 64-bit based ARMv8-based Qualcomm Kryo CPU and FinFET process node. Qualcomm will be using the Adreno 530 GPU for the chipset which will offer 40% immerse graphics and is said to compute the power usage capabilities than the Adreno 430 GPU. The chipset has support up to 2.2GHz 64-bit based Quad Core Kyro CPU and comes with Qualcomm Adreno 530 GPU, Up to OpenGL ES 3.1+. The chipset is said to be faster and powerful than last years Snapdragon 810 chipset, the chipset efficiency might result in great battery life overall. Connectivity of the chipset supports Cat.12 LTE downloads with 600MBPS and Cat.13 uploads with 150MBPS. The Wifi Connectivity of the chipset support 2×2 MU-MIMO 802.11ac which is the fastest available in today world but you will be needing a wireless router with MU-MIMO support which are not available that easy but we can surely expect in future. 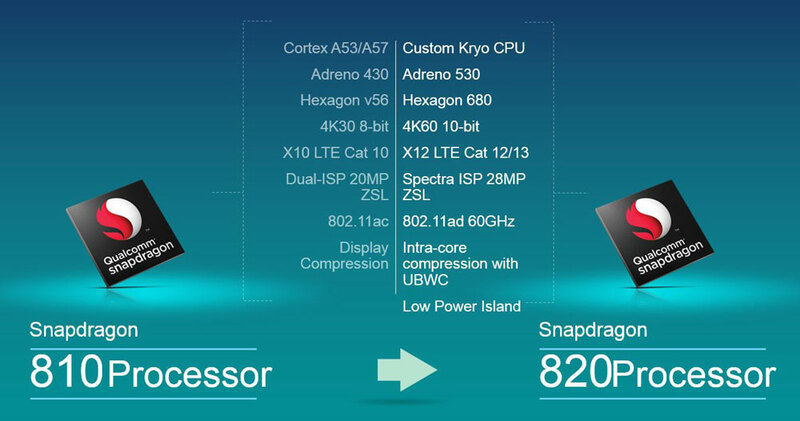 Qualcomm has introduced the Snapdragon 820Soc during the MWC earlier today the company has finally launched the most hyped and most anticipated Snapdragon 820Soc with Adreno 530 Graphical processing unit. The chipset is said to be using Qualcomm’s custom 64-bit based ARMv8-based Qualcomm Kryo CPU and FinFET process node. Qualcomm will be using the Adreno 530 GPU for the chipset which will offer 40% immerse graphics and is said to compute the power usage capabilities than the Adreno 430 GPU. Snapdragon 820 provides support for 4K display and the camera sensor can go up to 23-megapixel and as for the storage goes, the chipset works with UFS 2.0 or eMMC 5.1 flash storage, and LPDDR4 dual channel Ram memory. Qualcomm’s Quick charging 3.0 that was introduced earlier is also supported. Though the chipset is now official we can expect device running SD 820 in the coming year only.